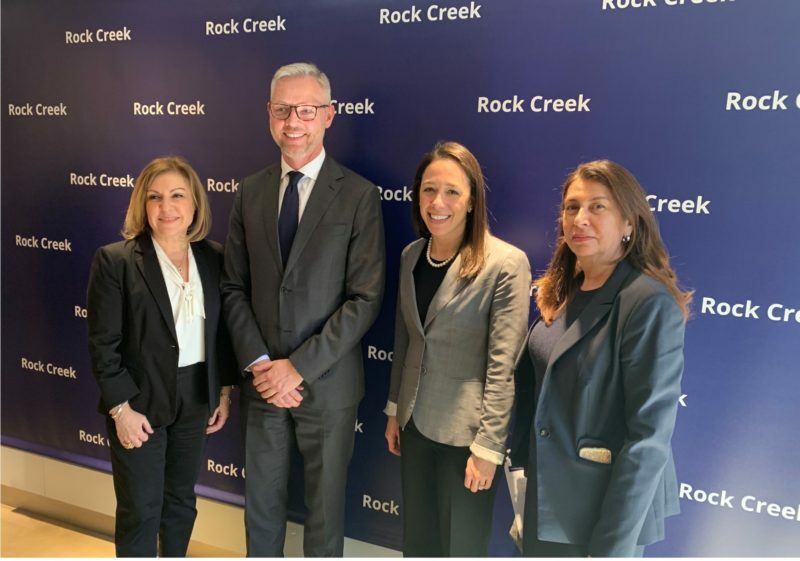 On Thursday, March 28, RockCreek welcomed United Nations Principles for Responsible Investment (UNPRI) Chair Martin Skancke and UNPRI Head of U.S. Policy Heather Slavkin Corzo to share their research on climate risk, including their recent work with Norway’s Climate Risk Commission. Mr. Skancke discussed the importance of a single framework for the disclosure of climate-related risks and said the Task Force on Climate-Related Financial Disclosures (TCFD) has done a great job setting the standard for such reporting. He highlighted the role that asset owners play in implementing TCFD’s process. In his capacity as UNPRI Chair, Mr. Skancke has been working with asset owners to create both off-the-shelf and customized tools for climate scenario planning. The UNPRI recently published a guide on TCFD implementation that emphasizes the critical role of asset owners and managers in engaging fund managers. RockCreek Managing Director Sherri Rossoff discussed the firm's leadership role in impact investing. She discussed RockCreek’s extensive database of ESG and Impact investments, which gives clients a new level of visibility into unique direct, co-investment, and fund opportunities. Attendees to the event included professionals from: the World Bank Group, the U.S. House Committee on Financial Services, the Virginia Retirement System, Drexel University, the Norwegian Embassy, and the UNPRI.